Last week’s Premier League football was good one for me. I managed to watch four teams play and I got more predictions right than wrong. So here’s my look at the Premier League round 4. This week I’m going for it again and making a few predictions, some of which will annoy, some might fire a few teams up and some might even be correct! The West Pymble winning streak goes on. 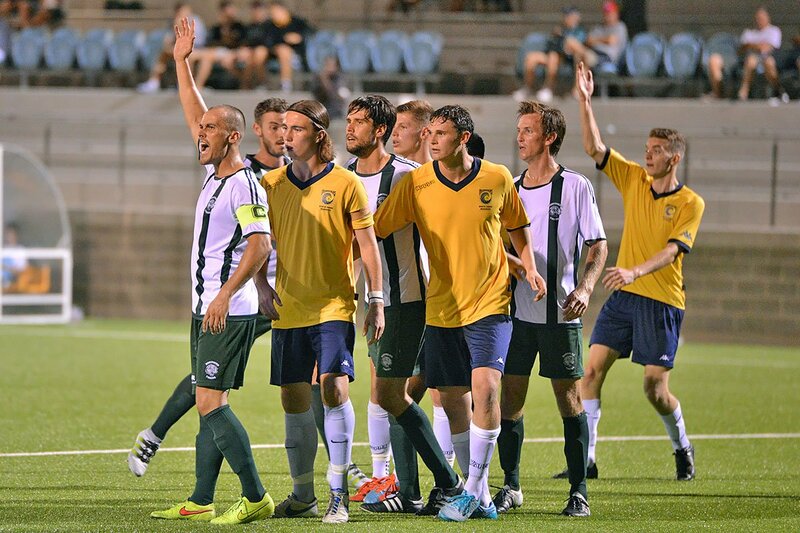 Last week they played Lane Cove and beat them 4:0 on Lane Cove’s ground. Last week’s report is here. This week they are hosting Berowra at home. I like the niggling in-your-face brand of football that both these teams play, so this should be a classic match to watch. Let’s hope the referee has got plenty of yellow cards in his pocket, because he’s going to need them! West Pymble should come away with a win from this match if they don’t lose their heads in the midfield. 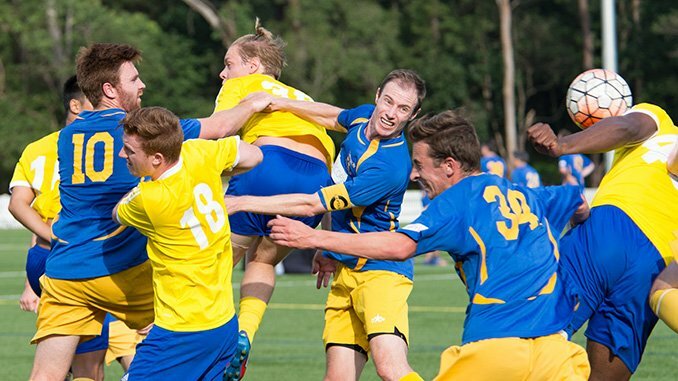 Lindfield squeezed a 1:0 win over Chatswood Rangers last week. Playing at home, I would have thought they would have come away with a bigger result, but a win is a win and that means two clean sheets at home. This week Lindfield are away to Lane Cove on Blackman Oval. Both of these teams like to play a considered, wide, classic game of football. Lane Cove will be looking for a win this week and I think Lindfield are going to find this one tough. The winning-streak came to an abrupt end with a 4:1 loss to Kissing Point last week. Last year Kissing Point were a force to be reckoned with, so I’m pleased to see that they might have their winning ways back. This week Barker will host Chatswood Rangers up on Golden Jubilee. As I write it is raining and that ground can be pretty bleak on a poor day, which will give Barker significant advantage. So, Barker to win this one. Chatswood didn’t manage a goal on Charles Bean last week, when they played Lindfield. But they have scored plenty of goals this year against Northbridge and Kissing Point, so they have the goods on the day, some times. This week they are away to Barker and home ground advantage will count for a lot, if the weather is bleak. I think Rangers will find this match tough going. Had the pleasure of watching the Berowra boys play North Sydney under lights on their home ground last weekend. Match report here. Berowra should have walked away with a decent win, but a late lack of concentration meant they gifted a penalty to North Sydney and drew 1:1. This week they’re against top of the table West Pymble and I think this will be an exciting game of football to watch. If Berowra can put in the physical and mental effort for the full 90 minutes, they stand a good chance here, but West Pymble will do everything in their play book to distract them. North Sydney played Berowra last weekend and didn’t really get going. They kept of being beaten by the offside trap and struggled against the pace and assertiveness of Berowra, but this week they play bottom of the table Northbridge at home and so this should be a gift. A 4:0 win last week see Kissing Point jump from last to sixth place. Thrashing Old Barker might just be what was required to get their season back on track. This week they are away to Knox United who notched-up their first win over Northbridge last week, so they will be playing a team that knows it can win in the Premier Division. I think Kissing Point will win this one, but not by much. Knox notched-up their first win this season with a 2:1 victory over Northbridge away from home. That points them in the right direction and a win shows they’re capable of another win. This week they will host Kissing Point and I think things will be a lot tougher, but they have some fast, agile players up front and if they can be fed a stream of decent ball they have a good chance of coming up with the goods. Lane Cove have now lost two in a row, going down to North Sydney 3:2 and then getting hammered by West Pymble 4:0 last week. They’re a quality side that can produce good football on the day. Playing Lindfield under lights at home will be a good test for them. If they can shut down the very wide way that Lindfield likes to play they have a chance. Welcome to the Premier League Northbridge! Three Matches without a win. This place can be a tough, remorseless place. But Northbridge have depth of players and depth of coaching, so I have a suspicion that bottom of the table is not a place they’re going to want to stay for very long. However, away to North Sydney is going to be a tough match to win. North Sydney are going through an adjustment as some players move on, but they have a good squad and I think they will win on the day.